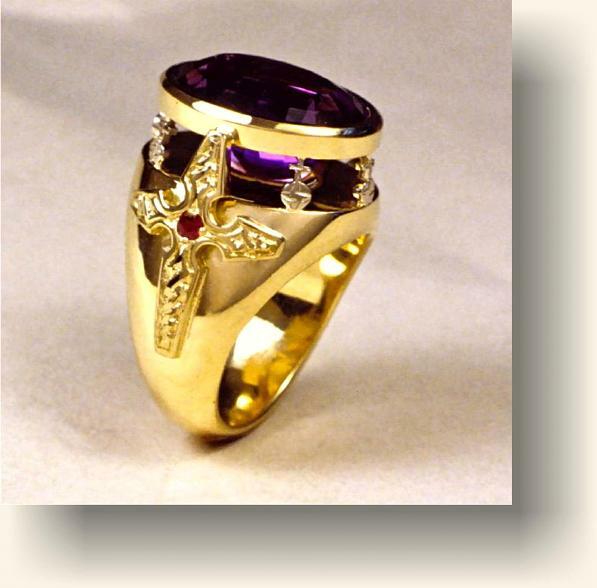 Kim Eric Lilot: The Bishop's Ring, Amethyst gem , 18kt gold and fine rubies. A fine Zambian Amethyst gem is bezel-set and suspended over a reflective 'mirror'. The bezel is supported with icons of the Episcopal Order and flanked with two Ruby cabochon set Celtic crosses.